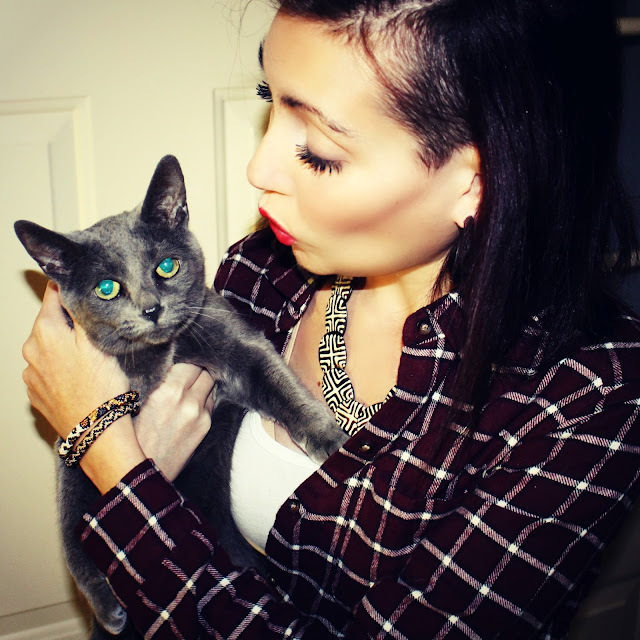 Home » Journey in a Lotus Sky » Get to Know Lotus Sky Girl, Sarah! Lotus Sky girl, Sarah, here! While I am the Lotus Sky “voice,” I usually keep my face (and wrists) behind the scenes! I love to let my talented and gorgeous team of models shine and do what they do! : ) You might have seen me in a couple of Lotus Sky "At the Studio" videos, but its pretty rare that I jump in front of the camera! That said, I absolutely adore wearing Lotus Sky bracelets and am a majorly HIGH STACKER! I love the endless mixing and matching and creating new looks through different color scheme and pattern pairings! Don't you?!? I had a lot of fun with this funky monochromatics set- I could wear these stacked high on both wrists any day, like my beaded armor! Ok…I am obsessed. And it is pretty much true that I eat, drink, sleep, LIVE Lotus Sky bracelets. In fact, one of our main quality control, sorting, and packing centers is…you guessed it…the living room of my Kathmandu flat! 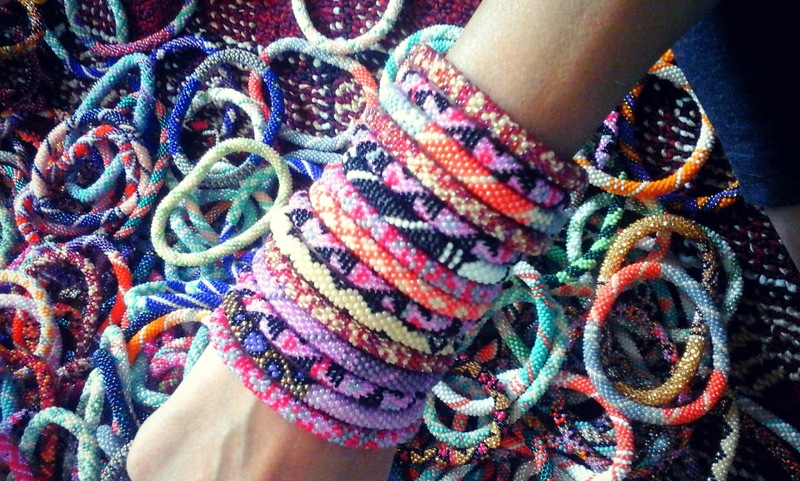 Huge piles of bracelets, constantly in transition, are my only furniture pieces in the room! So yep, we are dedicated, heart, soul, mind, and home- it is bracelet madness, galore! Sometimes I just can't help myself and have to spend taxi time deleting wristies from my phone! 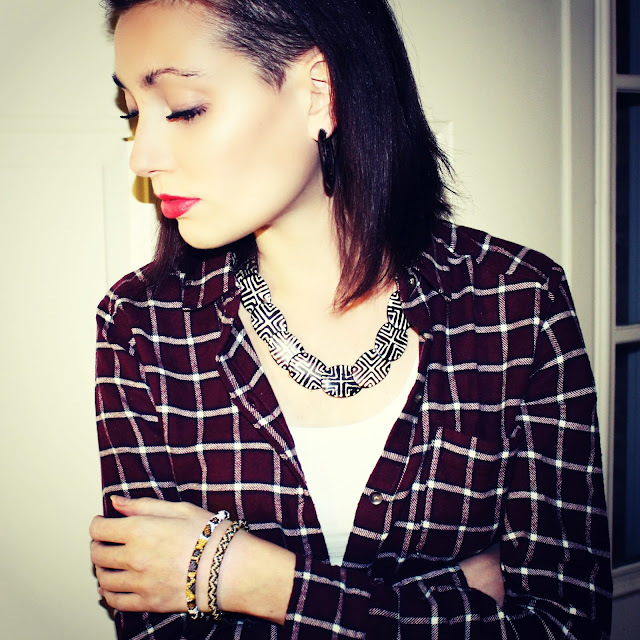 I love pairing my leopard print and zig zag roll on bracelets with a handcarved recycled bone necklace for a look that is as totally timeless Nepal, as it is modern every-girl! While I was visiting my family in the US for the first time in over 2 years (and a heck of a lot has happened during those 2 years), I got to see my cats and dogs who live in Michigan with my mom and dad. The kitties adore the bracelets as much as I do! This feline friend is Harper, a sleek grey cat I rescued from a cat shelter while I was a volunteer there. Or maybe I am just projecting...Harper is kind of over it in this shot! One of the new product lines that I am over-the-moon about are our roll on bracelets with charms! Here I am hand modeling our tribal elephant charm with an ethnic-chic grey, emerald, and gold patterned roll on! What do you think? Would you like to add a charm or two to one of your roll ons? 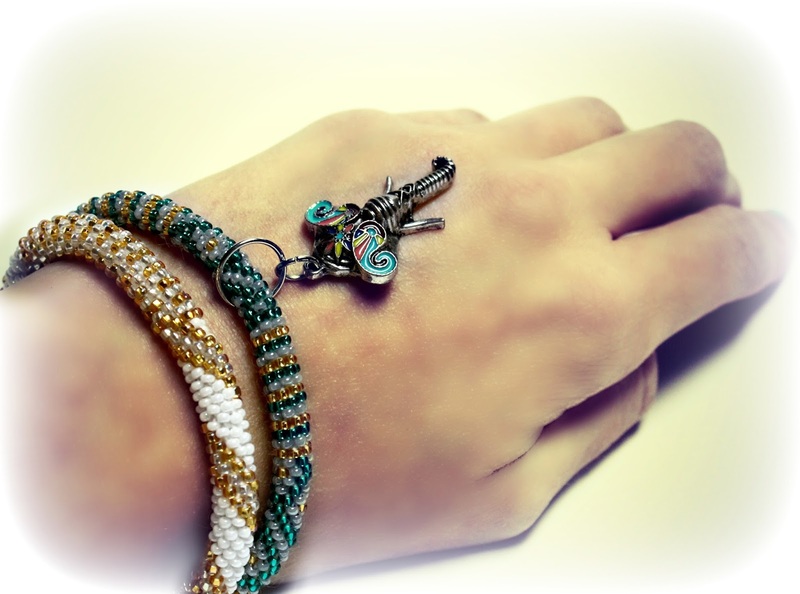 What kind of charms would you like to see paired up with Lotus Sky bracelets? We have a lot of ideas we'd like to bring into fruition in 2016, so tell me directly - what would you like to see more of? What color and patterns are you crazy about? Do you want to see roll on necklaces and wrap-around bracelets? More sets or wholesale options? I am so excited to hear your ideas and always love it if you drop a photo, so drop me a line or a pic- I am all eyes and ears! * Valid through Feb 14; One time use per customer.